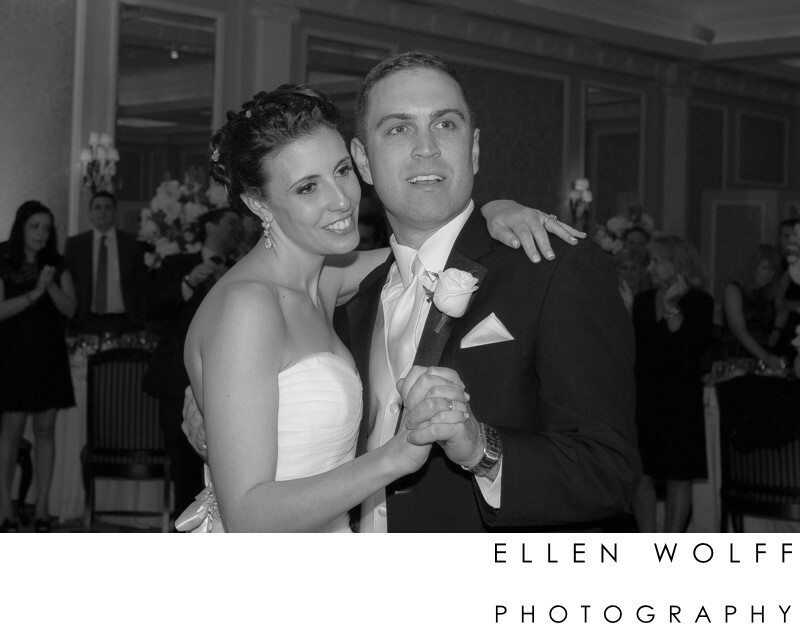 The first dance, as a black and white photo. At Muttontown Country Club with Ken James and Ken James Productions. Keywords: East Norwich NY (27), Muttontown Golf Club (33).